In 1872, Christopher Latham Sholes invented the typewriter, changing the history of writing efficiency. The keys on the original typewriter were not the same as on typewriters and computers today; Sholes actually designed the standard "QWERTY" keyboard to slow the typist down to keep the keys from sticking. Now, the "QWERTY" keyboard (named after the first six letters in the first row of the keyboard) is seen everywhere. 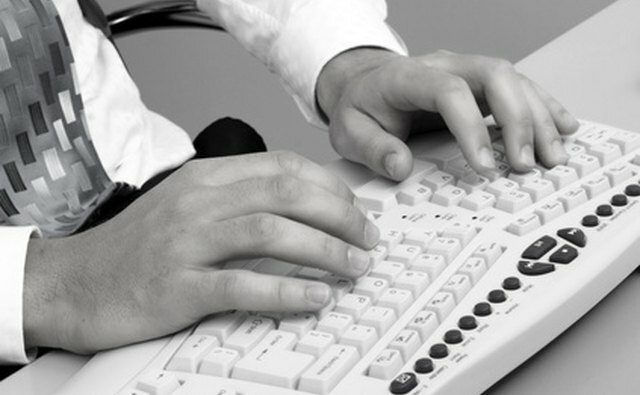 Understanding the basics of typing on the "QWERTY" keyboard is important when practicing typing. 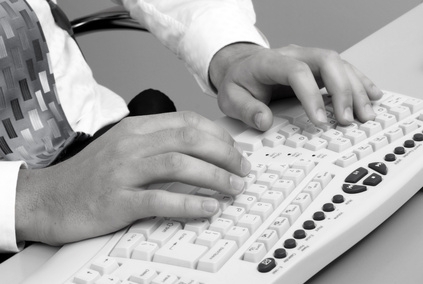 There are a couple of matters to pay attention to in order to increase the speed and efficiency of typing skills, including posture and hand position. 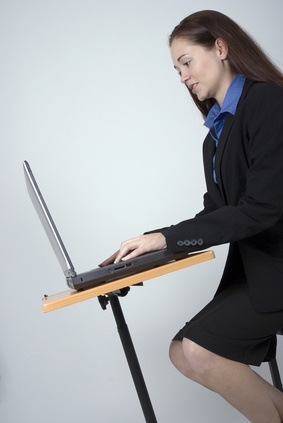 Sit in an upright position in front of the computer. 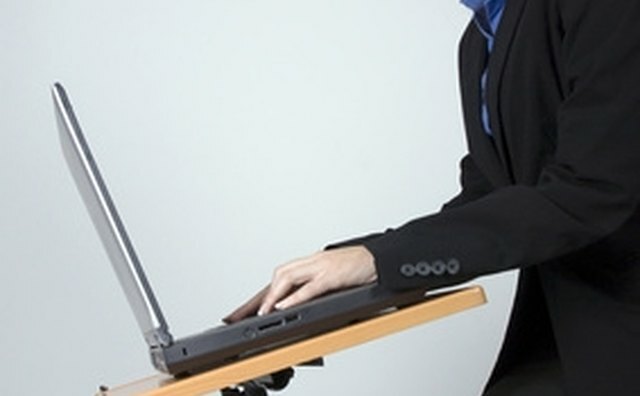 When typing, keep your upper arms vertical and forearms horizontal, and float your wrists up straight. This will keep your hands and fingers in a rounded position, with your fingers reaching down to the keys. Hold one hand out and cup it softly so that your fingers are rounded. Then, position the end of a piece of tape at the middle of each finger, pulling it down toward your palm. The tape will gently hold your fingers in a cupped position. Repeat this for the other hand. Place the four fingers of your left hand on the "A," "S," "D" and "F" keys. Place the four fingers of your right hand onto the "J," "K," "L" and ";" keys. This positioning is referred to as "home row." Begin typing, extending your fingers from home row to reach keys in the first and third rows of the keyboard, as well as the space bar. Try not to pull the tape off your fingers while typing. This requires a lighter touch and less finger extension. If the tape begins to pull off, your hand position is not rounded enough. Practice doing this for at least 10 minutes. Remove the tape, and practice typing using the rounded hand position for another 10 minutes. If you feel as if your finger is straining to extend to a key, you should adjust your hand position. Use home row as a basis. When typing a character from the first or third row of the keyboard, use the finger that is closest to the key from home row. Use your thumbs for the space bar. Repeat Steps 1 through 5 up to four times a day for approximately two weeks.